Most entrepreneurs are reluctant to call themselves a salesperson. But the truth is, if you’re an aspiring entrepreneur, you’re selling (or trying to sell) something. Whether that’s a physical product or service, your role of salesperson plays a crucial part towards selling that winning idea of yours. 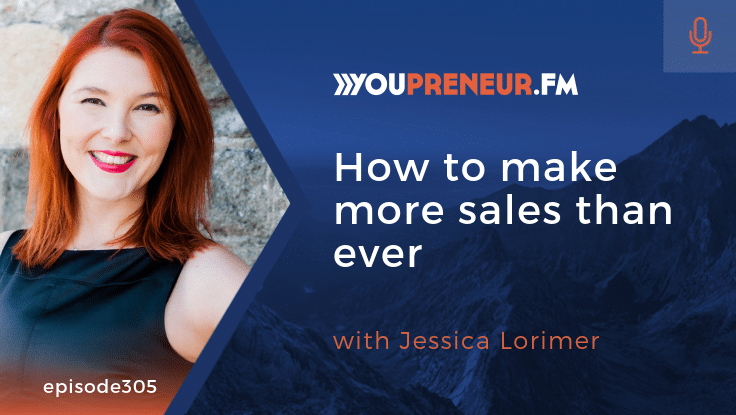 In this podcast episode, I welcome sales coach and business strategist, Jessica Lorimer, onto the show. Jessica helps coaches and entrepreneurs create simple sales funnels that convert potential customers into paying clients. We talk about the sales process and how it’s evolved. More importantly, we break down the best tips and practical strategies for you to make more sales and grow a successful business. Make your sales process as simple as possible for your customers – leave out the jargon and get straight to the point!